Found one file extension association related to Neighbours from Hell and 1 file format developed specifically for use with Neighbours from Hell. 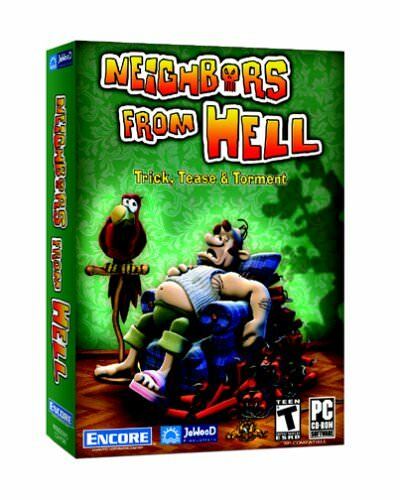 Neighbours from Hell is a strategy video game for Nintendo GameCube, Microsoft Windows, and Xbox. In Europe. It was developed by JoWooD Entertainment and first released in 2003 for Windows platform. Living next door to you is a real Neighbour From Hell and it's now time to have your revenge! If you need more information please contact the developers of Neighbours from Hell (JoWooD Entertainment AG), or check out their product website.